Satellites are great for communication, weather forecasting, and a number of other activities. 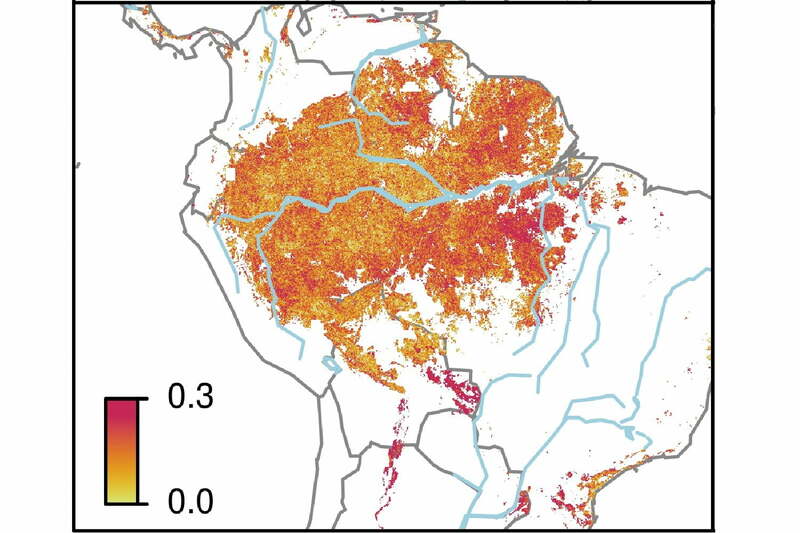 Now there&apos;s one application we haven&apos;t previously come across -- building up heat maps of the world&apos;s tropical forests. When combined with some neat statistical tools, they can predict regions that might be in trouble. That&apos;s the goal of a research project at Wageningen University in the Netherlands. It was recently described in a paper for the journal Nature Climate Change, entitled "Remotely sensed resilience of tropical forests." "We&apos;ve got large amounts of satellites monitoring these forests, and we discovered that we were able to use time series information from them to look at the dynamics and resilience of the forest," lead author Professor Jan Verbesselt told Digital Trends. "We found out that they&apos;re slowing down due to pressures like droughts. That is a new indicator which can be derived from this data, and used for predicting where fragile forest are -- so people can do something about it." The work involved analyzing tree cover to see how it changed in response to climatic changes. In particular, alterations in greenness, and the speed at which these changes take place, is an indicator of a forest&apos;s ability to recover from stress. The statistical model based on the satellite images also proved that there is a "tipping point" at which forests collapse after a particularly dry period. "We haven&apos;t drawn immediate conclusions about why these droughts are increasing," Verbesselt said. "We live in a changing world. What we&apos;re doing is studying those changes and how they impact our tropical forests." Looking forward, Verbesselt told us that he hopes the model his team has developed can be used to help people intervene to save forests before they reach the point of no return. "There is more satellite data available than ever," he said. "For instance, the European Space Agency recently launched three new satellites, called Sentinel 1, 2, and 3. This massive amount of high-quality data is open access and available for free. The models we developed can be used on that satellite data to find out in detail what is happening in our ecosystem." And it&apos;s not just forests either. "There are various dynamic systems that can be monitored from space, like lakes, savanna, grasses," he concluded. "This is a predictive tool people from all over the world could use [to help monitor a variety of natural systems]."